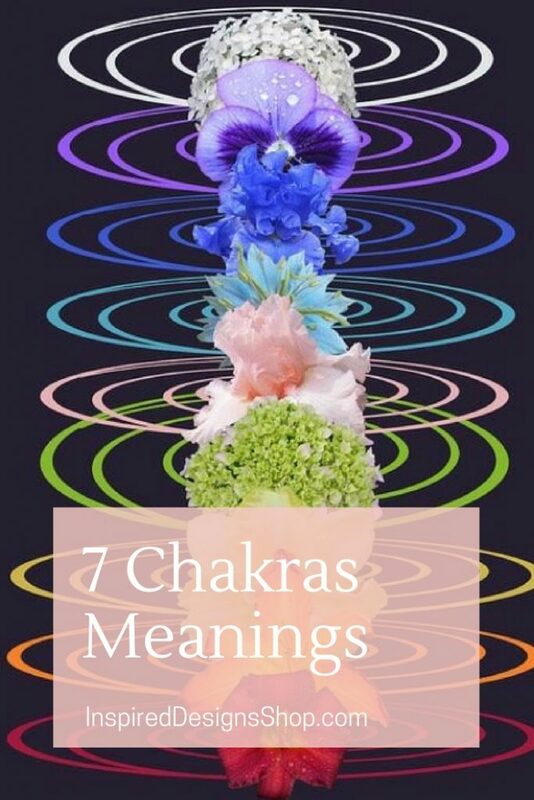 If you are new to chakra healing and balancing, this post will go over the 7 chakras meanings to help you easily understand what they are and how you can balance them. First, what are chakras exactly? Continue reading for the 7 chakras meanings, colors and healing stones that correspond with each chakra. The Root Chakra is located the bottom of the spine. This chakra is depicted by the color red, the first color of the rainbow. When the Root Chakra is functioning properly it will influence the basic survival needs. These include providing for your family, housing, food and being able to earn money. If it becomes unhealthy you can develop greed, not take care of and appreciate the things you do have, cause a feeling of lack or neediness and lead to you not maintaining your possessions and environment. You can balance the Root Chakra by placing a ruby or garnet gemstone on that area and picturing it charging the chakra with positive reddish energy that swirls in a clockwise motion into that chakra. You can also cleanse the Root Chakra with the use of a black obsidian. 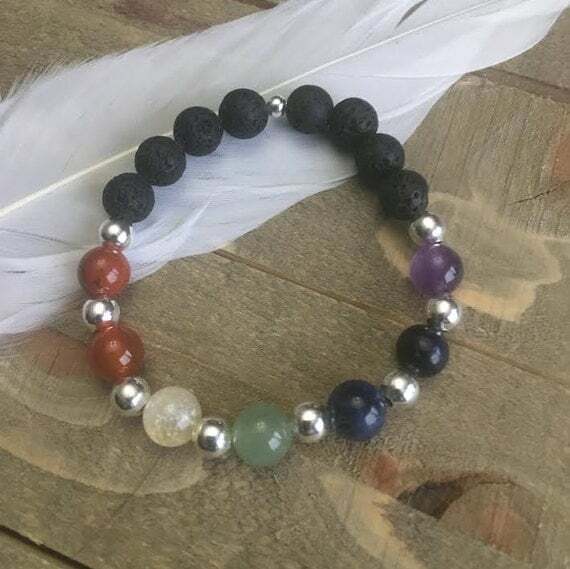 Move the black obsidian over the Root chakra in a counter clockwise direction while picturing all the negative energy of that chakra swirling out into the stone. The Sacral Chakra is located at about the same point the belly button is located at. This chakra is depicted by the color orange. The Sacral Chakra lends it self to a persons emotional states and creativity. When it is in balance a persons creative side tends to come out which includes painting, writing or any for of the arts. When the Sacral Chakra is not balanced you can have mood swings and a person will tend to make a big deal out of minor things. The Sacral Chakra can be balanced in the same way the Root Chakra is balanced. When balancing the Sacral Chakra you want to use carnelian or a tiger’s eye gemstone. The Solar Plexus Chakra is located just under the bottom of the ribs. This chakra is depicted with the color yellow. The Solar Plexus Chakra influences the activities you perform and your energy. It also has a great influence on what you do and why you do it. When it is healthy a person will develop a sense of wisdom around the activities they do. They tend to spend their time on things that are worth doing. When the Solar Plexus Chakra is unhealthy people tend to become obsessive about certain areas of their life’s. For example they could be come a workaholic. They also tend to make poor decisions on what is the best course of action for their life. When balancing the Solar Plexus Chakra you should use honey calcite, amber or topaz. Balancing the Solar Plexus Chakra is done in the same manor as the Root Chakra. The Heart Chakra is located in the center of the chest and is depicted by the color green. In people who have developed a deep love for their fellow man the heart Chakra can glow a rosy pink. The Heart Chakra represents romance, relationships and above all it represents love. When it is healthy you will develop a sense of empathy for your fellow man and will be able to give and receive love, friendship with ease. The Heart Chakra also helps you develop a sense of compassion for yourself. When the Heart Chakra is unhealthy it can be difficult to find and maintain love and friendships. This could be do to the fact that you have closed yourself off from others when the Heart Chakra is not healthy. 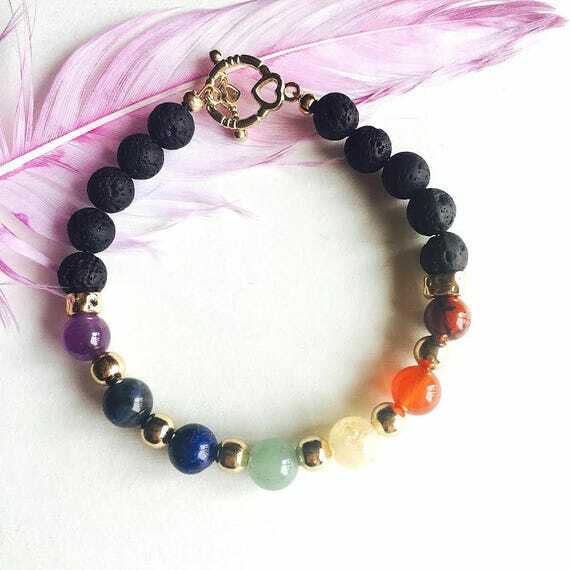 You can balance the Heart Chakra with the use of jade and aventurine gemstones. Balancing the Heart Chakra can be done the same way the Root Chakra is balanced. The Throat Chakra is located at the base of the throat and is responsible for honest communication. The Throat Chakra is associated with the color blue. When the throat Chakra is healthy your communication abilities are good and people hear and understand what you have to say. This is also a very good chakra to have healthy if you do public speaking. If it is not healthy it could develop into two areas of communication. The first being you tend to be overbearing in your speaking manor and talk to much. The next is you tend to be shy and do not speak much, thinking what you say does not carry a lot of weight. To balance the Throat Chakra you can use blue lace agate or turquoise stones. The Throat Chakra can be balanced in the same manor as the Root Chakra. This chakra is associated with the third eye and the color is indigo. The Brow Chakra is located between the eyebrows and slightly up. The Brow Chakra is considered the chakra where intuition, psychic abilities and spirituality reside. When the Brow is healthy your spirituality will flow to you naturally and you will tend to be comfortable in with yourself. When the Brow Chakra is not healthy people tend to be closed minded and have a problem with concentration. To balance the Brow Chakra you can use amethyst or lapis lazuli. The Brow Chakra can be balanced in the same way as the other chakras. The Crown Chakra is located at the top of the head like a crown. This chakra is represented by the color violet and sometimes white. When it is healthy you feel connected to the world and the universe. You also handle the daily disturbances well and are able to make short term and long term plans. When the Crown Chakra is unhealthy you tend to make poor decisions when you are able to make decisions and you may feel separated from the rest of the world. You can balance the Crown Chakra with amethyst and quartz. As a side note quartz can also be used to balance any of the other chakras. The Crown Chakra can be balanced in the same manor as the other chakras. Sit or stand with your back erect and your feel flat on the ground, a little apart to create balance. Let your body’s weight sit in your pelvis and distribute equally down your legs with your knees slightly bent. Close your eyes if you’d like. Take a few deep breaths and relax as much as you can. 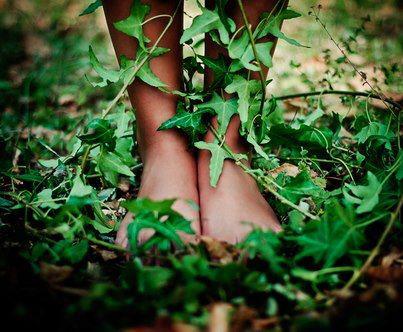 With a single thought send a beautiful golden root from the sole of each foot deep down into the earth. Send another from the tip of your spine so that you are now sitting on a tripod of golden roots. Just as a lightning rod grounds electrical energy, if there’s anything you don’t need, allow it to discharge now into the earth. Just let it go. The earth can handle anything, neutralize and recycle it. Now with each breath draw up the wonderful energy of the earth. Feel it hold you and cherish you as it comes up through those roots in to your body. See it begin to fill you with wonderful golden light. Strong, earthy, robust energy. Feel held by the earth. Like a wonderful strong tree, know that you too are strong and that you’re fine. Stay as long as you like. Now that you have learned an exercise along with the 7 chakras meanings, you are ready to being aligning your chakras. 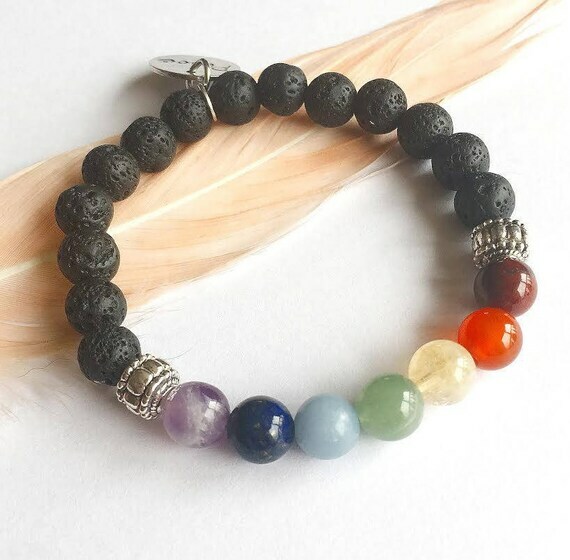 While doing exercises alone will help, there are added benefits to wearing a 7 chakra bracelet along with essential oils to increase the healing and balancing of all 7 chakras.